What are a quatrefoil and barbed quatrefoil? An ornamental motif that consists of four, partially overlapping, symmetrical circles of the same diameter. The Latin root of the word means four leaves and it describes the shape well. Seen often in architecture, decorative arts and fashion. The “barbed quatrefoil” is similar to a quatrefoil but notched at the angles with an inscribed square. The earliest example of a barbed quatrefoil appeared in 1260 on Notre Dame in Paris. Barbed quatrefoil on left. Quatrefoil on right. 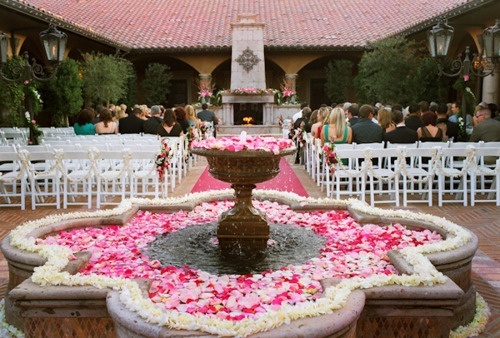 The quatrefoil has a rich history. The ornament was popular in the Gothic and Renaissance periods where it was often seen as tracery on a ceiling. It has strong symbolic roots. 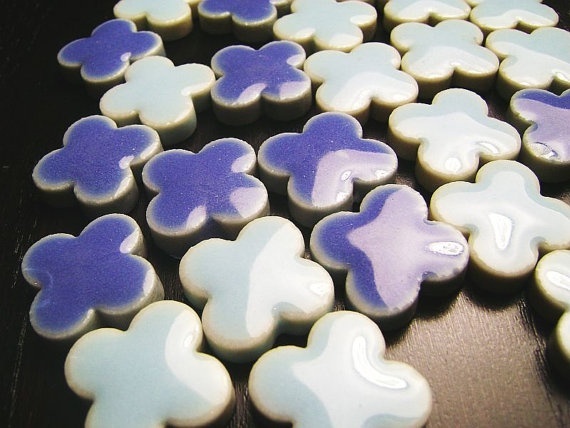 The quatrefoil is an ancient symbol of good luck. Since it is readily dividable into equal portions, it is said to also symbolize harmony, symmetry and proportion. In Christianity, the four leaves represent the four gospel authors in the Bible, Matthew, Mark, Luke and John. Perhaps its rich symbolism helps explain the quatrefoil’s enduring popularity. The shape made at least 3 appearances at the 2014 Hampton Designer Showhouse, indicating its strong appeal. 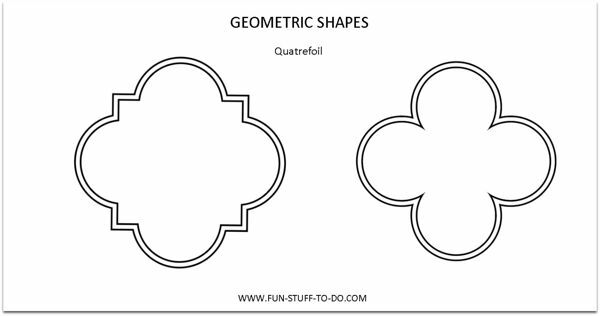 Here are a few more interesting examples of the quatrefoil and its cousin, the barbed quatrefoil. Um, I seriously want the nail stickers.